An opportunity for teachers to get together – and discussion relevant issues. For those interested please sign up below. There is also a link for those of you who would like to present. Venue: Alpine Golf Resort,Chiangmai, Thailand. This workshop aims to share a variety of practices which enable Librarians and Teacher-Librarians in international settings to be current and relevant in our information-rich, digital world. In addition, the workshop will highlight the collaborative role of the Librarian in supporting student achievement and curricular goals. Gain a deep understanding of information literacy and the components of an effective information literacy program. Begin work on establishing an information literacy program for their respective libraries. Consider the pedagogical and collaborative role of the Librarian in developing language competency. Identify opportunities and develop strategies to promote mother tongue in the Library setting. Compile a bank of digital resources geared toward professional development in librarianship, becoming a connected Librarian and supporting the Learner Profile. Identify opportunities to support and illustrate the Learner Profile or character development in the Library. Participants are strongly encouraged to bring a laptop or preferred device in order to fully benefit from the sessions. All notes and resources will be recorded and shared on a collaborative wiki. Teacher-Librarian Continuum in Melbourne, Australia. Dianne has been both an Elementary and Secondary Teacher-Librarian in her native country, Canada, and at two prestigious international schools – The Canadian International School of Hong Kong and GEMS World Academy in Dubai. Dianne has extensive experience creating and implementing information literacy programmes. She has been the driving force behind establishing Librarian networks in her various postings and has redesigned two libraries into highly engaging and effective resource centres. Among Dianne’s strengths as a Teacher-Librarian and workshop leader are her creative approaches to Library programme advocacy and her ability to foster collaborative environments. Dianne is passionate about literacy, education, technology and inspiring others. Step 2: Our office will send you/your coordinating staff the invoice upon receipt of the form. COBIS is pleased to announce an additional venue for the four-day Middle Leaders’ Course. This course for Middle Leaders in Primary and Secondary Schools will now run at The British School in Tokyo (28 February – 3 March 2014) as well as at The Prague British School (20-23 February 2014). For more details and booking forms please visit the COBIS website. For full information see the attached flier. Concordian is sponsoring a Thai language teaching workshop on the weekend of Friday March 7- Saturday March 8, 2014. Attached is the flyer in English and registration details. Registration deadline is February 8, and only 25 spaces are available for the workshop. To save your space, register using this link. For more details please contact jamie@concordian.ac.th. Professor Guy Claxton is the originator of the Building Learning Power™ approach to education and we are delighted to be able to bring him to Singapore for a two-day program in February 2014, at United World College’s Centre for International Education at the Tampines Campus of UWCSEA, Singapore. Since 1999 Professor Claxton’s theories, ideas and techniques on creating life long learners have systematically helped students develop the general habits of mind that underpin confident, curious, creative learning for children who live in the 21st Century. These ideas and techniques have become Building Learning Power™ (BLP) and the BLP approach is now seriously embedded in around 2000 schools and colleges in countries around the world. The two-day program in Singapore is an opportunity to find out how to genuinely develop powerful learners or create a learning powered school, ready for the challenges of the 21st Century. The first day is an introduction to the science, the vision and the practice of BLP. The second day takes a deeper look at how to change your classroom or your school. Full details are outlined in the event website and you can directly register here for this event. The Personal and Social Well-being of Children and Staff – Five Wells and Circle Time. The importance of all the staff working together consistently towards a vision of shared values. Understanding our own and other behaviour by a brief focus on neuroscience and emotional intelligence. To stay positive and calm, we need a personal philosophy to keep life in perspective. Emotional health and well-being depend on creating a work-life balance. Visiting the Five Wells helps keep you energetic and positive. The key to respectful relationships lies in the development of building empathy in young people. A brief focus on the listening systems in your school. ie circle time for weekly whole class listening, bubble time or talk time for one to one listening and think books or think boxes for non-verbal listening. Is ‘pupil voice’ a driving force in your school? Are students and teachers able to feed back their ideas into your systems? The importance of prefacing circle time with the Five Skills. · Help teachers develop areas such as PSHE, SEAD, SEAL, ECaT, Achievement for All. Jenny will be working extensively across our BIS Group of Schools in early February 2014. 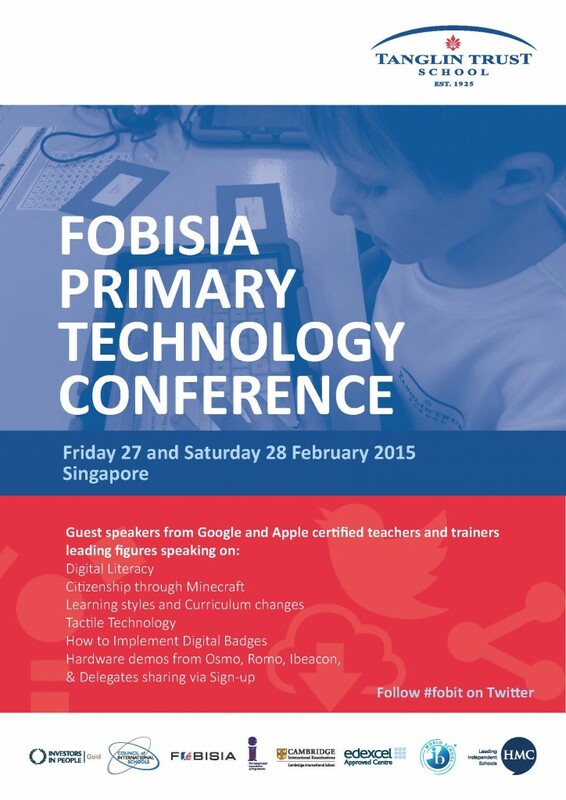 As a non FOBISIA event, I would like to extend the invitation for any interested FOBISIA teachers to attend one day of training at An Phu Primary Campus in HCMC, Vietnam on Tuesday 4th February 2014. The cost for each attending teacher will be $250, made payable to BIS, HCMC which will include all refreshments throughout the day plus lunch at school. Flights, hotel costs and transportation to and from school will need to be arranged by each individual school – I have suggested below a couple of hotels in the city that are well located, reliable and affordable. The recently finalised training schedule is attached above. To confirm your place at the training, please email Ms Thanh at ThanhNguyenThiPhuong@bisvietnam.com. Payment for the course in $USD will be collected on the day of training. Due to the Vietnamese TET holiday, the deadline for all places is Friday 24th January 2014. More programme information and registration details can be found by clicking here. Please do contact Anna Power : power.a@gardenschool.edu.my and/or Sudha Nair: sudha.k@gardenschool.edu.my if you need further information or have suggestions on adding on topics or would like to contribute to the workshop. Senior Leaders with responsibility for Sixth Form provision and aspiring Sixth Form leaders are invited to participate in an “Outstanding Sixth Form” JAWS. Colleagues are asked to share eﬀective practice and explore some of the issues arising from our position in Asia. The workshop will be hosted at the new Kellett School Kowloon Bay campus in Hong Kong. The campus is the purpose built home for the Kellett Senior School and is a ground breaking design for city campus schools. NB Attendance at the two day workshop prior to this event is not required.